Having previously written about 7th Dragon 2020-II, I decided I should probably write a little about importing games from other countries. I will be mostly going over the ins and outs of importing, as well as giving out a few tips that I have accrued in my time. Most of my overseas shopping comes from four sites J-List, Play-Asia, Amiami, and CdJapan, as well as the occasional gem I may find on Amazon and eBay. 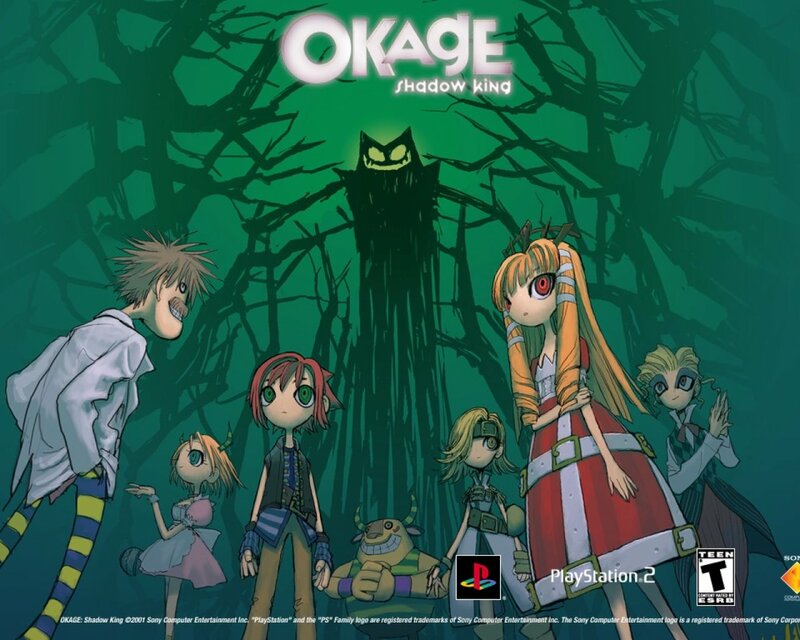 A few months ago I was amusing myself with an early PS2 game called Okage: Shadow King, a delightfully goofy game that doesn’t bother to take itself seriously for eighty-five percent of the story. Okage is the kind of game that at first sight, seems purely crafted for goofy entertainment, a fair bit of foreshadowing and clues that let you get the deeper nature of the game’s world. 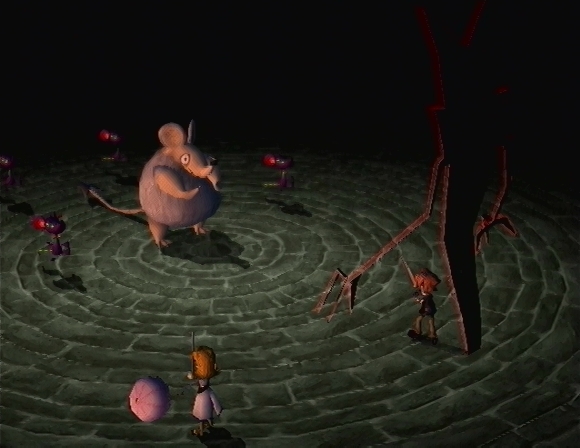 But ultimately, you will remember Okage because it makes you laugh, snicker and chuckle.It is the kind of game that makes talking in Pig Latin a terrible curse, our protagonist the prize winner for “most overshadowed character”, and includes such bosses as the Sewer Evil King, the Company President Evil King, and the Idol Evil King. I feel comedy focused games are missing nowadays, leaving only games that take themselves too seriously. 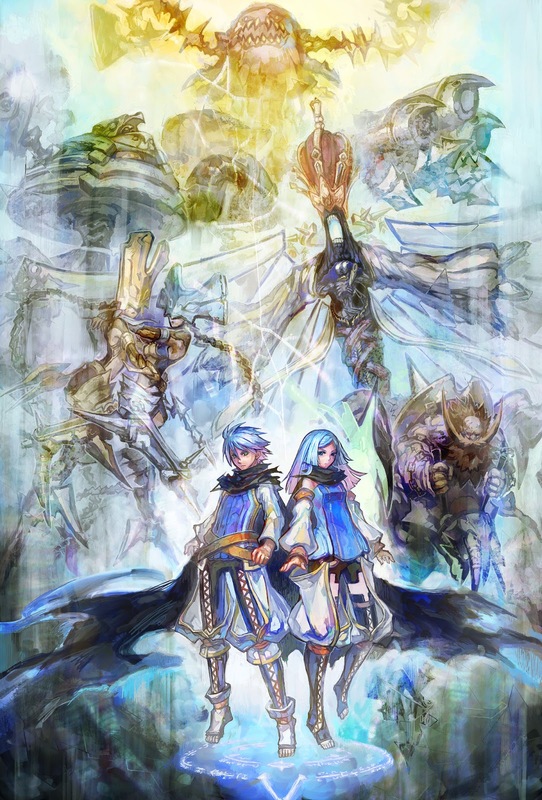 As much as I enjoy a poignant narrative, such as: that of Radiant Historia, a story of loss and how time travel will not necessarily solve everything; and Xenoblade, a tale of revenge and how easy it makes it for others to use you as their pawn, great stories, but they have a fill of plot devices we have all seen before. I know that anyone with a true love for games and their favorite genre knows that they all have trappings, traditions, and weird habits that deserve the occasional mocking. I present to you, the Sewer Evil King. It has been many weeks since I last sat down with my PS Vita,(so long, in fact, that the batteries had run dry while in sleep mode (PSP users will understand what I am talking about) as my 3DS often keeps me busy. Recently, I decided to give my Vita some well-deserved attention. At first I was ecstatic after hearing whispers that the PSN-only Atelier Meruru Plus had come out without my noticing, but I sadly realized later that a 3.2 GB file size and a full 40 dollar price tag would put quite the strain on both my memory card and wallet (Vita owners know storage space it is a precious commodity). Dejected, I decided to peruse the ol’ network for anything else of interest, where in I made a fortunate discovery in Malicious Rebirth: a game that actually made me sit down and enjoy my Vita once more. Malicious Rebirth is an action game developed and published by Alvion Co., Ltd in 2012, as an enhanced port of their 2010 PS3 title Malicious. 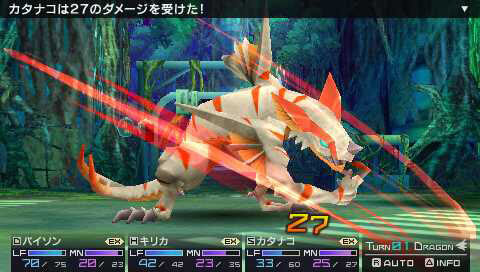 Both versions were published by Sony for their English-language release. Rebirth is an interesting title where the plot of the game consists of a bunch of old men with ridiculously long beards, all dressed in white robes telling you (either as Valeria the male MC or Erica the female MC) that you must defeat the Malicious, bane of mankind. In order to defeat this foul opponent, you must restore the true power of the Mantle of Cinders, a scarf-like weapon capable of changing into various forms in the blink of an eye. The player obtains these deadly powers after defeating the power holders- bosses of incredible might, each specializing in one of your lost weapons, the fist, the blade, the shield, and the wings. In truth, the real plot behind Malicious Rebirth is told through the background stories in the main menu. if you are willing to read through it, that is. While I am not too keen on having gameplay and a plot line separated like this, I can’t get too angry at a game priced at a mere 15 U.S. dollars. 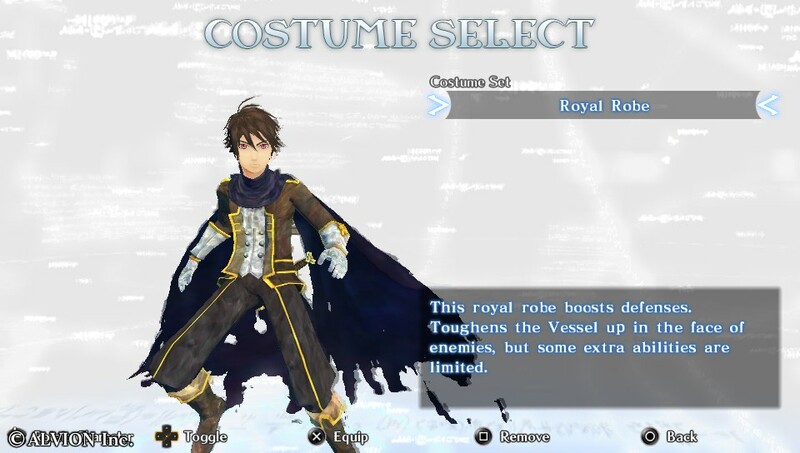 Ironically enough, the spiffiest costume is quite possibly the most practical. Let’s say you like an anime, and feel like looking it up. What’s this? It was originally a visual novel? Whatever could that be? And what are these “eroge”? Forgive me if I am insulting anyone’s intelligence; rather, I am trying to empathize with the lowest common denominator, which is a tall order for me. 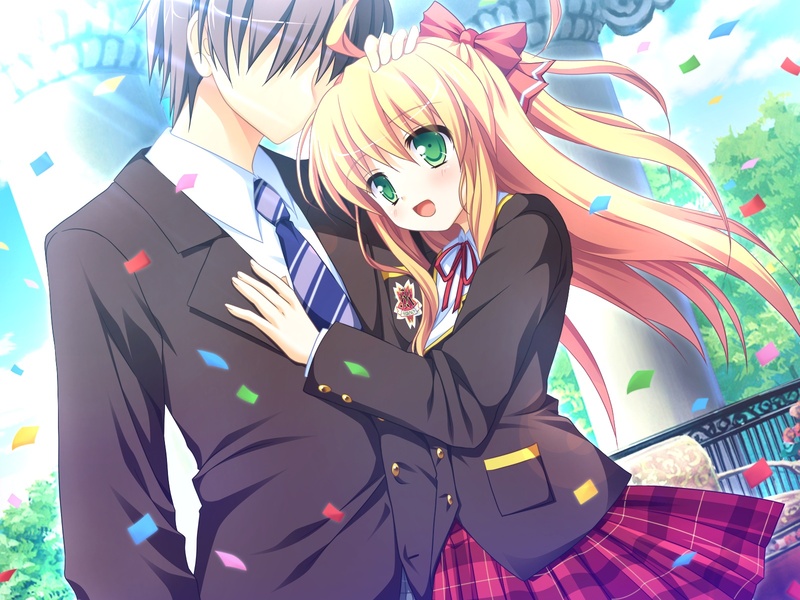 I shall try my best to explain what visual novels are and what is their relationship to eroge and dating sims. Whether Visual Novels are real video games or not is a debate I am not going to get into here. 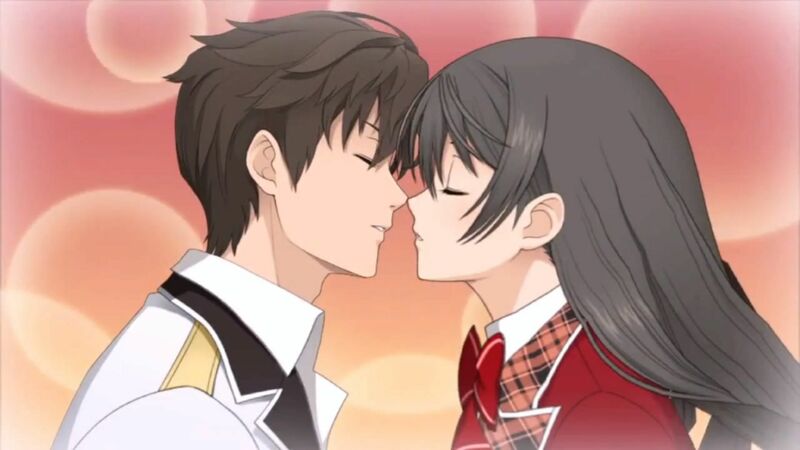 But for the most part, Visual Novels are text scrolling games that tell a narrative while paper cutouts of characters talk and interact with the main character or other characters, usually with accompanying voice acting. A common approach is to have you, the player, look at things from the eyes of the protagonist in an attempt to have you become the protagonist. This sometimes extends to leaving the protagonist’s face blank on images they show up in. 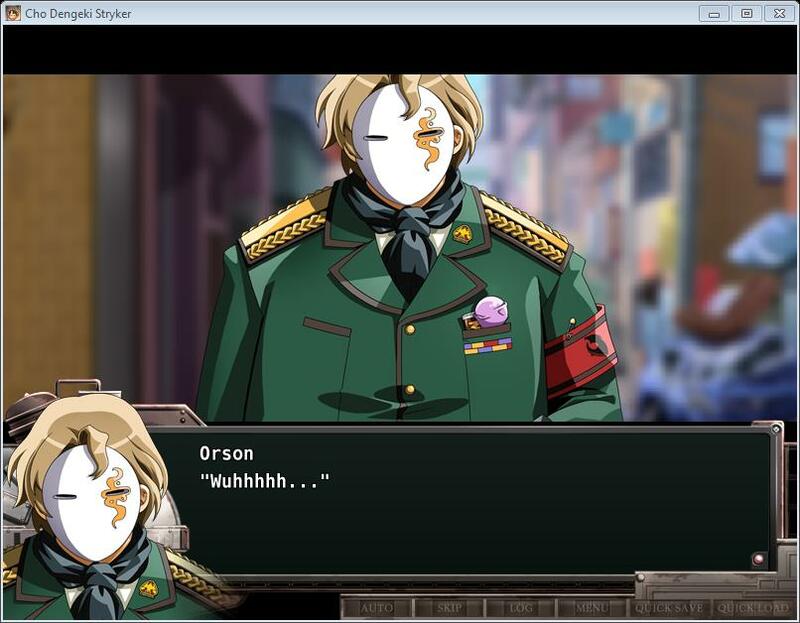 The faceless protagonist is so pervasive in visual novels that it often becomes a good thing to check whether the protagonist even has a face or voice acting. It shows the protagonist is important enough to the narrative to warrant the efforts of fleshing them out as actual characters. Outside of the faceless protagonist constancy, visual novels are too busy trying different character archetypes, plot twists, art styles, etc. so the only constant in visual novels is that you will be doing a lot of clicking and reading. Maybe Japanese women like their men faceless…? Unlike their undead co-workers the zombies, dragons rarely get to start their own apocalypse. Because the fantasy genre usually portrays dragons as mighty, but rare, creatures they are usually left as strong bosses, if not the final boss itself (whether we talk about video games or not, it rarely makes a difference). But sometimes, some form of media comes along, and shows us the terror of what it would be like if the flying, fire breathing lizards were about as common as say, rats? Rob Bowman’s 2002 Reign of Fire, was one such movie, if you were one of the few to apparently enjoy it. Another such attempt, though this is no B-List movie, has arisen from Japan in the form of the 7th Dragon series, and its latest installment, 2013’s 7th Dragon 2020-II. 7th dragon 2020-II is the third game in the 7th Dragon series and the second game in the 7th Dragon 2020 spin-offs (kind of confusing, I know.) It was developed by Imageepoch, a game developer that deals primarily in JRPG’s like Fate/Extra, and Sands Destruction, and published by Sega. Yuzo Koshiro, who has worked on the Y’s series as well as every Etrian Odyssey title to date was the composer for the game, illustrator Shirow Miwa, best known for his Dogs manga series, was the character designer. Is this was not inspired by God Eater’s Hannibals, then I must be French. Now, I will warn you, this is an import game, as the title implies, this is not a full review, so much as a general impression. The reason for that is quite simple: I can read squat of Japanese; as such, a true review of the game would be incomplete without at least some story analysis. While I did say that I cannot provide a story analysis, I can provide you with the general premise of the games as a whole. 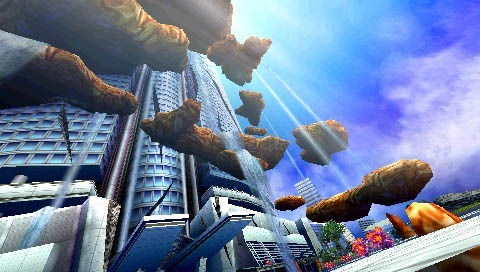 In the year 2020, dragons from space invade Tokyo, warping the city and covering it with mysterious flowers. 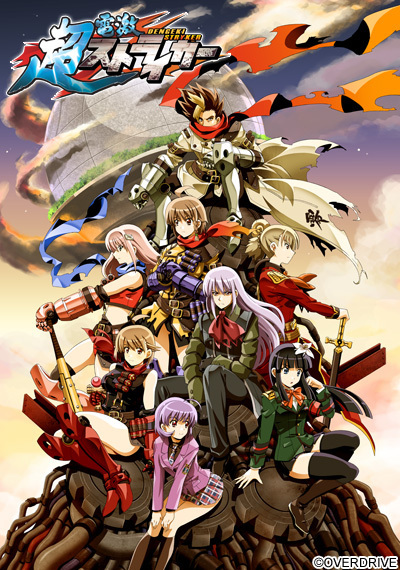 The dragons quickly overwhelm the military and complete chaos ensues, which is when Murakumo, a government agency made up of people with superhuman abilities dispatch their 13th squad to deal with the draconic menace. One year later, after the events of the first game, the dragons come back for a rematch and seem to be more powerful than ever. Moving on to the gameplay, you control a trio of characters whose appearance, voice actor, and class are yours to pick (and later on, fully exchangeable, except for class, which follows slightly different rules). You can assign one of them the fairly arbitrary position of leader, though you can change it at any time when in your room. All it really does is assign someone to interact directly with the cast during the story sequences. The game mixes elements of dungeon crawlers with those of more traditional RPG’s while battles are fought in a first person perspective, much like Dragon Quest, mixes things up by showing us our characters as they perform actions. A regular attack, for instance, will simply show the fighters coming in from the sides and swinging their weapons at enemies. Skills, on the other hand, will change camera angles and have the player characters performing much more elaborate attacks; this video showcases some of the flashier ones. Roppongi has let itself go. Among the usable classes, we have the samurai, who is strong, has good endurance, and speed, but is only above average. There is the destroyer, who has excellent strength and endurance, but afflicted with low speed and magical defense. The psychic, powerful offensive and healing magic, but has low physical prowess, low endurance, and middling speed. The hacker, which has a great deal of supporting skills, but lacks very many offensive skills, and has the same general weaknesses as the psychic. The trickster, possessed of decent attack, high speed, and two sets of skills depending on whether it is using knives or guns, unfortunately it also has low defenses, and it’s gun skills consume a lot MP, so they have to be used carefully; the knife skills have low MP consumption, inflict status effects and often gain a critical hits, but tend to lack in power. Finally, the idol which is a support class much like the hacker, but has more offensive skills, and the support it provides is slightly different from those of the hacker, it also has better offense, but it is still kind of frail. 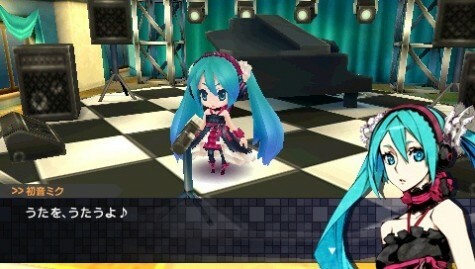 One of the main gimmicks concerning 7th Dragon 2020-II is presence of the vocaloid Hatsune Miku, you know, the virtual voice who lends her talent to any Japanese composer who cannot afford to hire an actual singer. 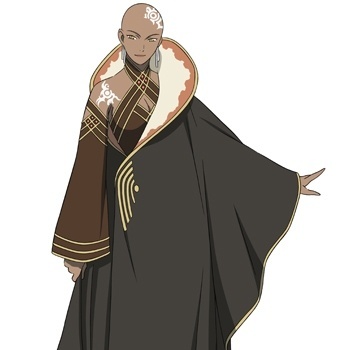 She (and her merry band of companions) are quite popular among the Japanese, and certain sections of the English speaking internet community. While her in-story presence is fairly insignificant (at least as far as I was able to tell), helping her in a certain side-quest allows you to change the entire soundtrack to “Diva Mode” which is a remake of the original soundtrack using vocals, courtesy of Miku herself. To my surprise, the songs sound vastly different, and often were improved by the switch to Diva Mode. Take this and this as an example. And I suppose I have been glossing over the language issue haven’t I? All of the story, all the skill names, and all the items are in Japanese, however, the menus themselves are completely in English, so at the very least you will not be getting lost there. And voila, these spreadsheets contain very useful information and translations (but no walkthrough) of the 7th Dragon 2020 and 7th Dragon 2020-II games (the second one is still in progress, but it is still fairly complete). 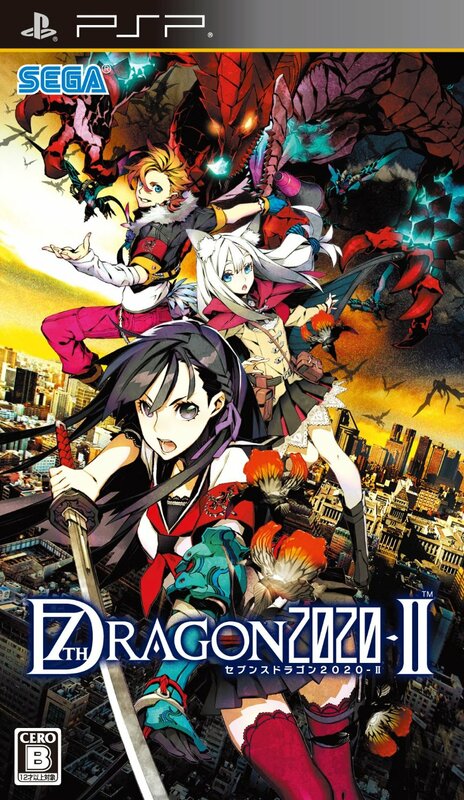 As a whole, 7th Dragon 2020-II and its predecessor seem to be more about style than substance (or at least for those who cannot follow the story) but they are nonetheless enjoyable, challenging games. If you like the Etrian Odyssey series, you might want to give this one a look-see. 7th Dragon 2020-II is not as old fashioned, but it does make up for it in terms of flair and I certainly did enjoy myself.